A tornado watch is in effect for areas west of the Metroplex until 7 p.m. Monday as a second round of storms could turn severe in North Texas, especially southwest of the Metroplex. 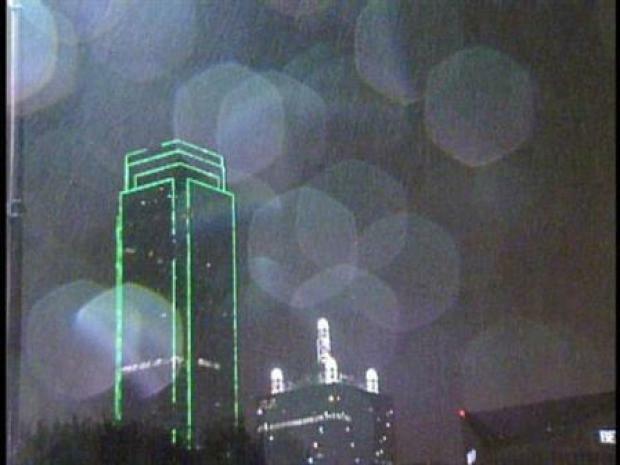 Scattered thunderstorms moved across North Texas Monday morning bringing lightning and heavy rain. Additional storms that develop Monday afternoon and evening could bring golfball-size hail and damaging winds up to 70 mph. There is also a potential for isolated tornadoes. The Metroplex could be under a tornado watch between 4 p.m. Monday and the overnight hours. The tornado threat will be highest in the later afternoon and early evening Monday as a warm front moves through the area. Temperatures will range from the mid 50's in the morning to low 60's by afternoon. Rain and storms are expected to end by early Tuesday.